We pick the tastiest ingredients and create this sensational menu! 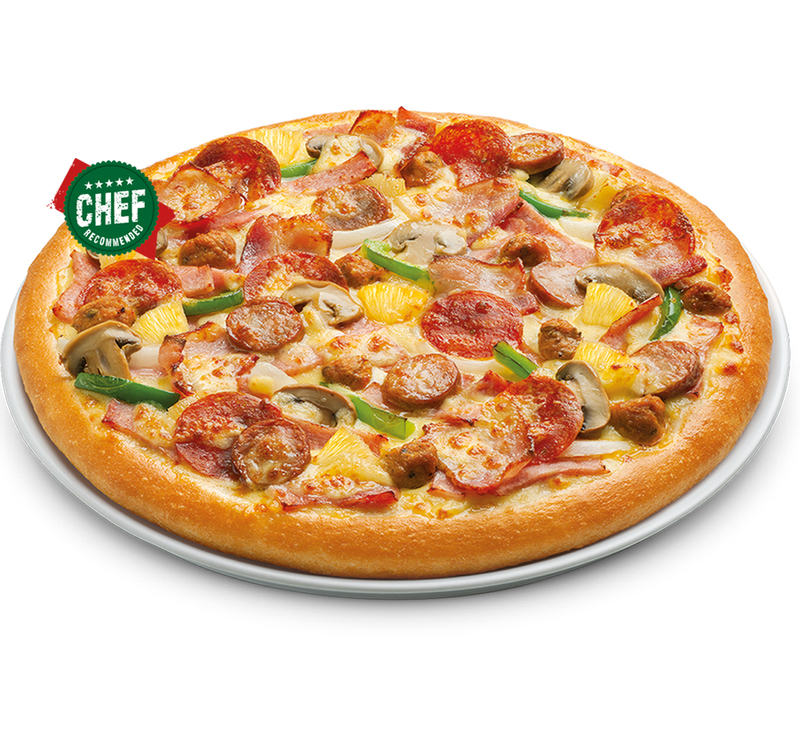 Every form pork sausages, Italian sausage, pepperoni, ham, bacon, onions, mushrooms and pineapples. That’s why we called it “Super Deluxe”.